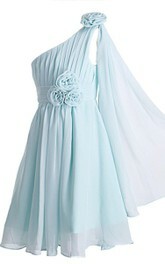 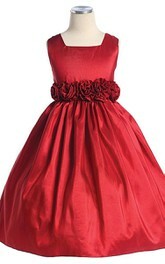 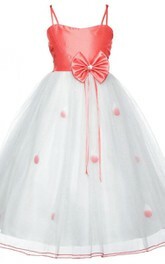 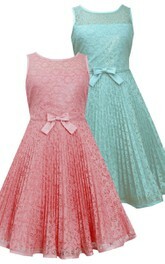 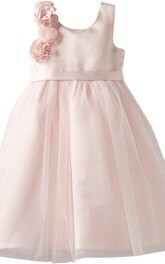 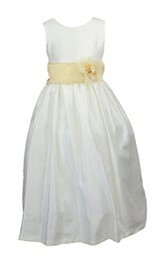 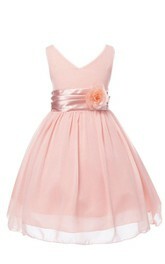 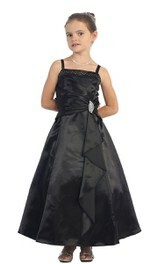 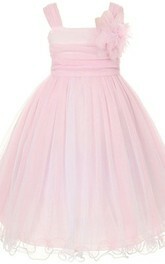 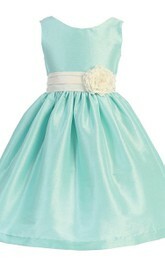 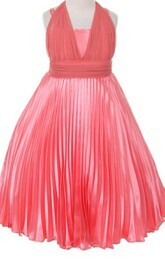 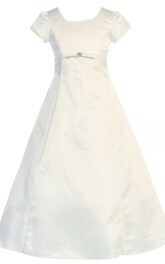 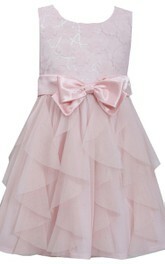 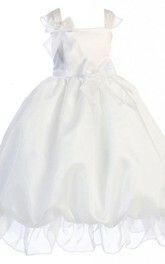 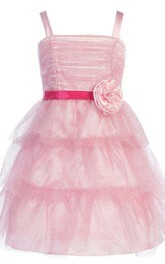 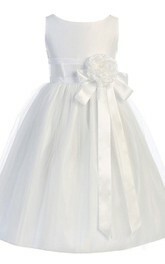 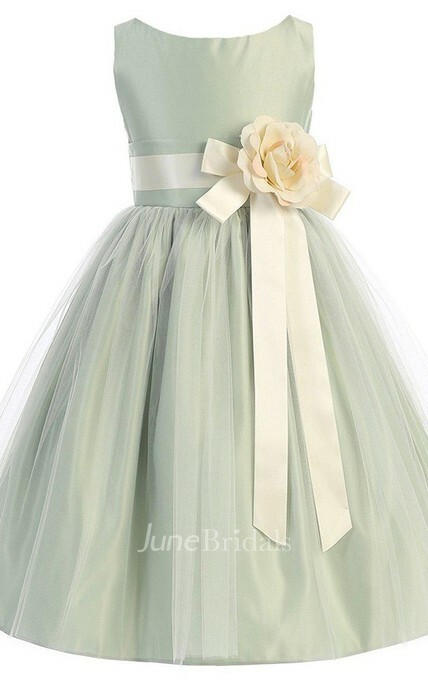 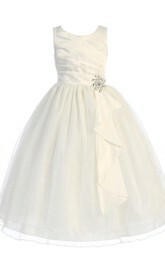 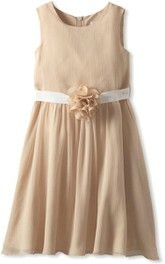 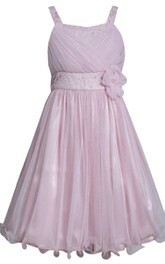 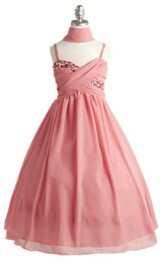 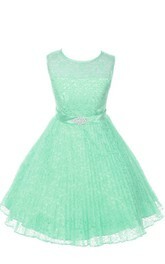 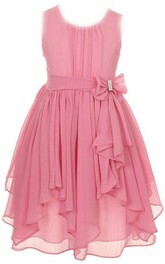 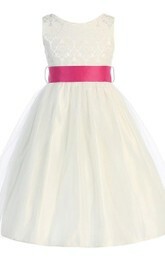 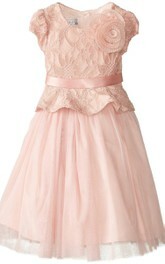 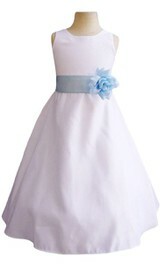 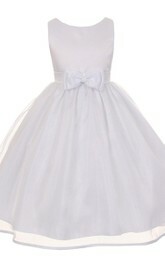 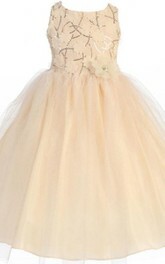 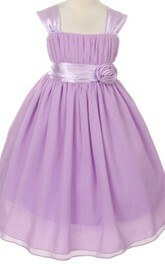 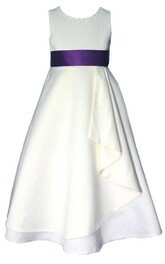 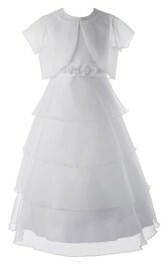 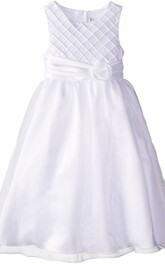 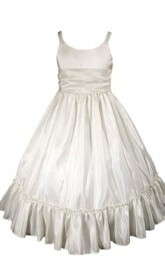 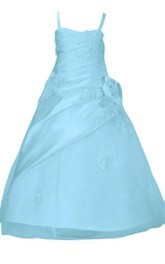 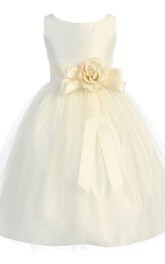 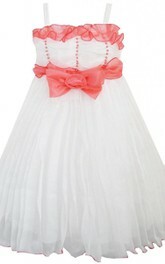 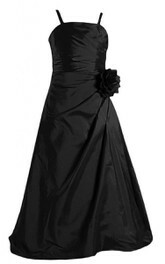 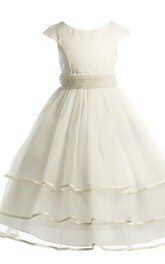 For weddings and formal events, why don’t you dress up your princess in this elegant dress? 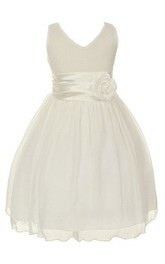 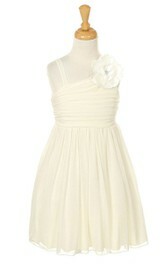 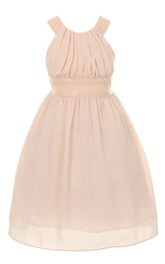 With a scoop-neck style and an A-line bodice, this cream dress will surely be every girl’s favourite. 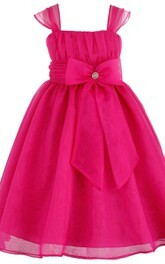 Adorned with a beautiful flower ribbon that acts as a belt and pleats-like design from waist and down, this sleeveless dress will make every girl a stand-out.